The designers at Randy Jaacks Rustic Woodmen Decks are experts in creating the perfect outdoor living space for any backyard. 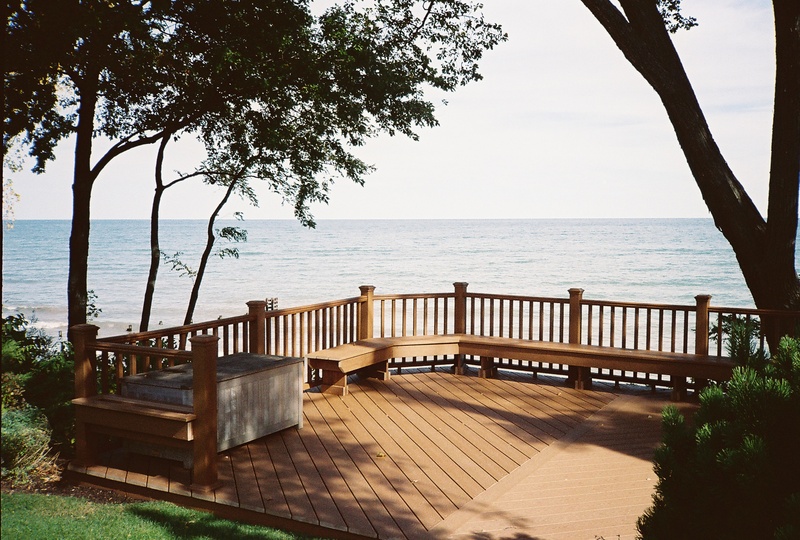 We pride ourselves in providing Glenview, Park Ridge, Northbrook and other Chicago suburbs with superior decking quality and excellent customer service. If a cedar deck is not quite the look you're looking for, Randy Jaacks Rustic Woodmen Decks also offers a variety of alternative low maintenance composite decks. Composite decking is quickly becoming the Chicago suburban home owner’s preferred type of deck. Composite decks are low maintenance because they do not require annual staining and have the ability to endure Chicago’s brutally cold winters without rotting or decaying. At Randy Jaacks Rustic Woodmen Decks, we offer Trex composite decking. Trex is the largest composite deck brand in the world, offering endless possibilities for deck designs and railings. Most composite decks are made out of a combination of plastic and minerals; however Trex decking contains a mixture of recycled plastics and wood fibers, for a "green" eco-friendly alternative. When choosing the type of Trex composite decking, there are also a wide variety of colors, styles, and textures to fit all of your decking needs. With this combination you can be assured that you are getting the best composite decking possible, along with outstanding service and installation to match. Our crews and sales people have been professionally trained and educated in Trex composite decking.